The week after Thanksgiving was always a big deal growing up for me. It meant the trees came out of the box (yes, my family had artificial trees) and the lights went up outside. We decorated the front of the house, the walkway up to the front door, the bushes, and even the deck. 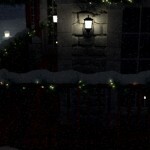 The house was not complete until those red and green lights were wrapped around the deck railings. To keep you safe this season, we have 7 tips for hanging lights on your home, deck, trees, bushes and anything else your heart desires. First things first, check the lights! The last thing you want to do is hang hundreds of those little bulbs to discover that a string of them are bad and you have to take them down. Now, while you have the lights strung out on the ground, make sure the cords are in good shape. If there are any frayed or damaged cords, dispose of them right away. These can post a danger and cause a house fire. We don’t need that. If you have to go buy more Christmas lights, ensure they’re certified from a reputable testing facility. Cheaper is not always the best way to go. Before hanging any lights, are they tested for outdoor use? Are they waterproof or water resistant? This is extremely important. The lights you use on your Christmas tree are completely different from the ones you decorate the outdoors with. When you go to plug in your lights, make sure you’re using outdoor rated extension cords and you’re plugging them into GFCI outlets. A GFCI outlet (ground fault circuit interrupter) is an outlet that will actually shut down if it senses that there is current that is flowing too heavily. If you go to plug in your lights and you realize you don’t have these outlets, call an electrician to come install some. Trust us; it’s worth having the extra safety feature. When you go to install the lights on your home, deck and landscaping, make sure you’re using a safe and sturdy ladder. Grab your kids, your spouse, or your neighbor, anyone to come and hold the ladder for you so you can safely install the lights. If you hang your lights the same way every year, using some small nails, or even some screw hooks for a quick and easy installation. If you want to install the lights on your deck railing, you can either twist it through the balusters and the rails, or you can use some plastic picnic tablecloth hooks for an easy temporary installation. 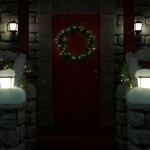 Having extra illuminations on posts will bring out the decorations even more! 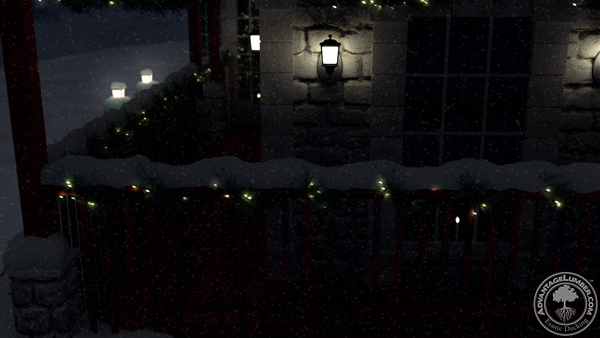 Using lights in combination with the pine strands will make your porch stand out at night even more. Now that you’re finished with your Holiday lights you can sit by the fire, sip some hot cocoa, and watch Miracle on 34th Street. 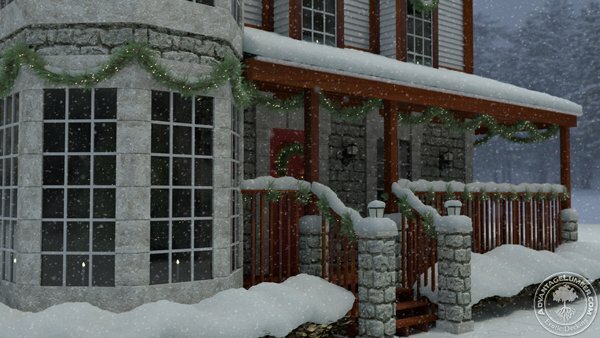 This entry was posted in Deck Design, Deck Lighting, Deck Safety, Do-It-Yourself, Outdoor Living, Uncategorized and tagged 7 easy tips, deck lighting, installing christmas lights on December 3, 2015 by Mr. Ipe Hardwood.